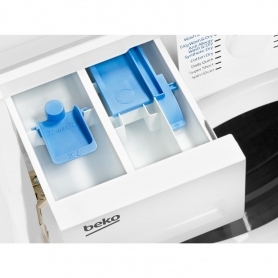 This Beko washer dryer, exclusive to Euronics, has plenty of superb features to get your laundry fresh in no time. 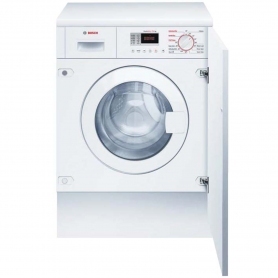 Available in classic white, this medium capacity washer dryer is ideal for singles and couples, or households with smaller wash loads. From the very start, the WDIC752300F2 keeps things simple. Adjustable back feet mean you can quickly install the appliance with no fuss. Meanwhile, an extra-large door makes for easier loading and unloading, taking the stress out of doing the laundry. 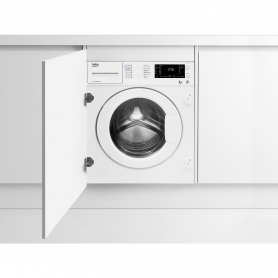 With a washing capacity of 7 kg and drying capacity of 5 kg, there’s plenty of room available. An impressive 1200rpm spin speed means you’ll get cleaner and dryer laundry. The stylish LED display adds a sophisticated touch and makes the appliance easier to use. 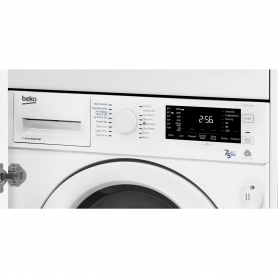 It clearly displays the remaining time, while indicator lights make programming the wash a breeze. The ability to wash and thoroughly dry all-in-one means you’ll never be stuck for something to wear. With Wash & Wear, you can choose to wash and dry a small load in just 60 minutes for last-second wardrobe emergencies. 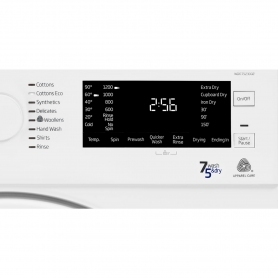 Other time-saving options include the Daily Quick programme - wash up to 7kg worth of laundry in just 28 minutes. In a rush and need a specific garment ready to wear in a hurry? The 14-minute small load programme will save the day. 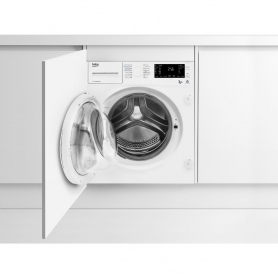 Combined wash and dry programmes provide the ultimate convenience, eliminating the need to carry wet washing from one machine to another. The brushless ProSmart Inverter motor is durable, energy efficient and quiet, making the appliance great for all kitchens. It also has a ten-year warranty for your peace of mind. 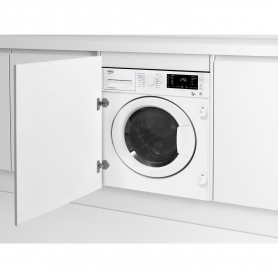 This Beko washer dryer is durable, quiet-running and bursting with features – and it’s exclusive to Euronics. Order yours here.